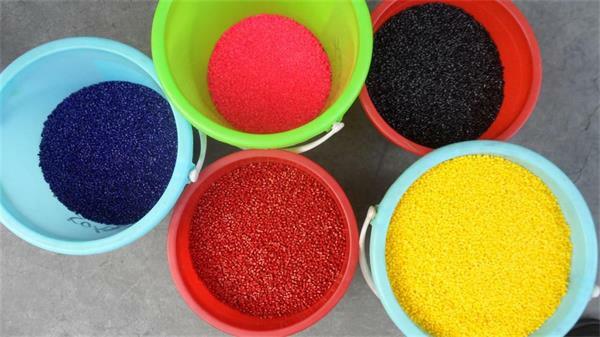 There are many reasons which can cause aberration, including resin, color master batch, mix of color master batch and raw material, injection technology, injector, module, etc. Choose seals with equal capacity of injector. If the injector has material dead angle, better to exchange equipment. If it is caused due to module pouring system and air discharging deduct, it can solve by repairing module. Firstly solve the problems of injector and module and then organize to produce. Controlling raw material is the key to completely solve aberration. Therefore, especially when producing light products, we can not ignore the obvious influence of thermal stability of resin to color change. Strengthen the inspection of raw material into warehouse; spot check and try color of color master batch before massively production. Compare with last time and also this time. If color does not differ much, it is qualified. If there is slight aberration, can mix and then use again so as to reduce the aberration due to uneven mix of color master batch. And also we need to pay much attention to the thermal stability of resin and color master batch. The uneven mix of master material and color master batch can also change color. Mix evenly and they will separate due to static electricity function after material is in hopper, which is easy to adhere in material headwall, which will definitely cause the change of color master batch amount, and then aberration happens. During production, aberration usually happens due to ineffectiveness of heating ring or ineffectiveness of heating controlling part. It is easy to judge if this happens. Generally, when heating ring becomes ineffective, uneven plasticizing will happen, and heating controlling part becomes ineffective, the serious aberration and even burning will happen. Therefore, during production, heating part needs to check frequently, and repair in time the broken part to reduce aberration. When adjusting injection parameters due to non aberration reason, try to not change injection temperature, pressure, injection period and color master batch amount and so on. And also need to observe the influence of parameters to color. And timely adjust if aberration happens.